Are your teeth yellow? Do you ever wonder how TV celebrities get their milky white smiles? Do you wish that your teeth looked like theirs? Well, you are not alone with this one. Many people suffer from having yellow teeth. There are many reasons for this to happen. It is most common to get yellow teeth due to our dietary habits. Eating excessive amounts of tea, cola, smoking cigarettes, etc. are major factors. Eating food such as berries, drinking too much wine also stain our teeth. Other causes of yellow teeth include tartar or plaque, excessive fluoride, and antibiotics during childhood. Moreover, we all want to change that. 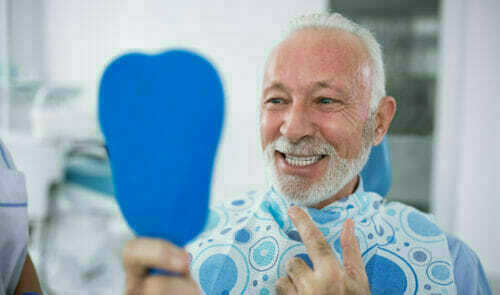 We all wish to get rid of our yellow teeth and get back our pearly white sets. Sometimes, the yellowing of teeth can be a natural process as well. It could happen because of old age, or it could be your natural color. It gives you back your confidence to smile more in public. It helps you create a positive image of yourself. It helps you make great first impressions on other people. All in all, it gives you the freedom to smile as much as you like without getting self-conscious about your teeth. Coming off as a happy person is always a good sign wherever you go. Getting your teeth bleached requires you to go to a teeth whitening dentist. Promenade Dental is a qualified teeth whitening dentists in Temecula. Promenade Dental uses the most advanced teeth whitening technology. We use the new Zoom 2 Advanced Power system, which can cause your teeth to look pearly white again in just 60 minutes. What is Zoom 2 Advanced Power System? Zoom2 treatments help in rectifying the discoloration of enamel and dentin. It can help your teeth get up to eight shades lighter. There is not tooth color that all people will get. Everyone’s teeth and their natural color is different. This treatment will remove the factors that caused your teeth to look stained. 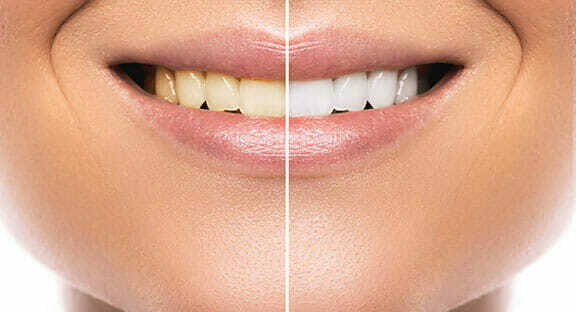 The Zoom2 whitening procedure is quite simple. First, your lips and gums are covered leaving only your teeth exposed. Then our dentist will apply the zoom whitening gel. It is used exclusively with the Zoom 2 advanced power light. This combination of light and gel work together to penetrate the teeth. It breaks up the stains and the particles that are causing discoloration of the teeth. You do not have to keep repeating this procedure. The effect can remain as long as the patient maintains healthy dietary habits. It is recommended that annual dental check-ups are maintained. Teeth cleaning is a prerequisite for maintaining a healthy set of teeth. Promenade dentists will perform the tooth whitening procedure after a thorough dental examination. After other dental procedures, it is recommend that you undergo dental whitening. It can help match the colors with other restoration procedures. The best part of getting teeth bleaching done is that it doesn’t affect the color of your crowns. If you are not satisfied with the crown’s color, you can change it to get a compatible color. Your dentist won’t do everything for you. Efforts are also required from your side to make sure that you sustain the newly gained white set of teeth. For this, there are various practices and remedies that you can practice at home. Dental whitening toothpaste, mouthwash, and whitening pens are helpful keeping a pearl white smile. To schedule an appointment for our teeth whitening dentist for teeth bleaching and dental whitening, contact Promenade Dental at (951) 296-3011. We are your local dentist in Temecula.